One of most important issue in the field of regenerative medicine is selection of appropriate cells, scaffolds and bioreactors. The present study aimed to investigate the appropriate method for the isolation of human UC-MSCs cells from explant cultured in alginate scaffold within novel perfusion bioreactor. MSCs were isolated with explant method and CD markers such CD73, CD31, CD90 and CD105 as were analyzed by flow cytometry. The culture chamber of the novel perfusion bioreactor was made from Plexiglas and housed the cell/scaffold constructs in the central part and the medium for the whole culture period. The flow behavior within the bioreactor chamber were performed for closed and open bypass systems. The shear stress profiles simulated using CFD modeling. The fluid flow distribution within the bioreactor chamber was performed in PBS solution containing a blue colorant. UC explants were resuspended in sodium alginate and were allowed to polymerize and placed in the perfusion bioreactor and cultured. MSCs were positive for mesenchymal markers such as CD73 and CD31. All 3D Perfusion bioreactor parts, except peristaltic pump was sterilizable by autoclaving. Results of CFD indicated very low wall shear stress on surface of culture chamber at flow rate 2 ml/min. The maximum wall shear stress was 1.10 × 10−3 m/s = 0.0110 dyne/cm2 (1 Pa = 10 dyne/cm2). The fluid flow distribution within the alginate gel initially exhibited oscillation. In comparison, when encapsulated explants were placed in the perfusion bioreactor, cell proliferation appeared faster (4.6 × 1011 ± 9.2 × 1011) than explants cultures in 2D conventional culture method (3.2 × 1011 ± 1 × 1011). Proliferated cell formed several colonies. Migration of chondrocytes to the periphery of the alginate bead was visible after 1 week of culture. 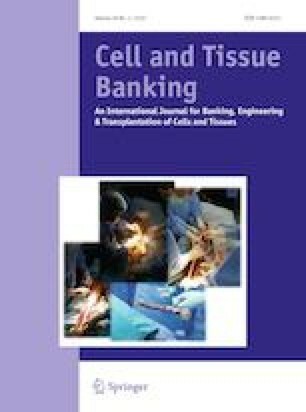 Perfusion bioreactor with low shear stress and alginate hydrogel improve cell isolation and expansion and eliminate cell passaging and enhance colony forming unit of UC-MSCs. This study approved in the Shahroud University of Medical Sciences. Special thanks to Shahroud University of Medical Sciences for the support.